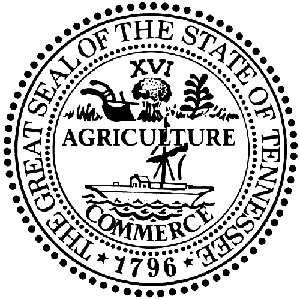 TOKYO, JAPAN – During an economic development trip in Asia, Tennessee Gov. Bill Haslam and Economic and Community Development Commissioner Randy Boyd along with the Japan External Trade Organization (JETRO) co-hosted an investment seminar focused on Tennessee’s business advantages on Wednesday in Tokyo, Japan. The seminar was attended by more than 200 business leaders in the manufacturing, logistics, government and construction sectors. During the seminar, presentations were made by Mr. Fumitaka Nishimura, general manager of manufacturing for the strategy planning department of Nissan Motor Company, and Mr. Yusuke Uemura of the Nippon Steel & Sumikin Materials management team. Nissan’s history with the state of Tennessee dates back to 1983, while Nippon Steel & Sumikin Materials, a metal substrate manufacturer, located its first U.S. facility in Fayetteville in January. The event was co-hosted by JETRO, a TNECD partner. JETRO works to promote mutual trade and investment between Japan and the rest of the world. Originally established in 1958 to promote Japanese exports abroad, JETRO’s core focus is to promote foreign direct investment into Japan and helping small to medium-size Japanese firms maximize their global export potential. In February 2016, JETRO and Select USA signed a Memorandum of Understanding to further promote two-way investment between the United States and Japan. The Tennessee investment seminar is the final event of the economic development trip that also included recruiting stops in Korea and China.